Neverwinter: The Masquerade of Liars Creeps In! 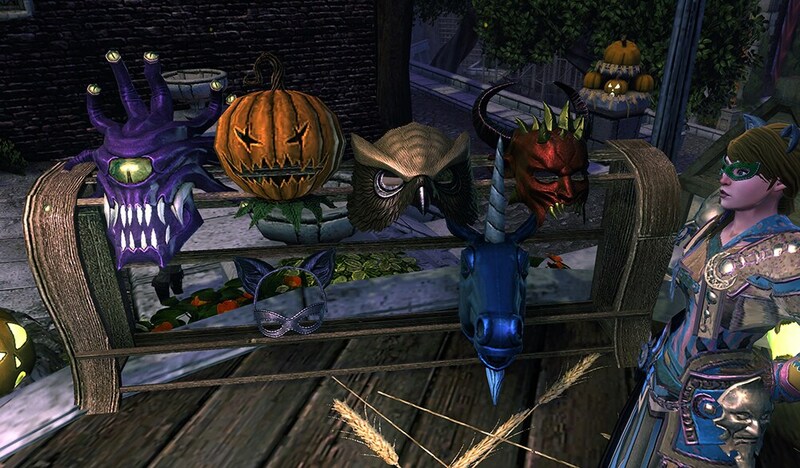 The annual Masquerade of Liars event launches today in Neverwinter! Get ready for a brand-new contest, daily quests, fashion masks and more! The event will go on until Tuesday, November 6 at 7:30 am PT. To join, you have to visit the Masquerade Master at the event dais in Protector’s Enclave and he will explain what you need to do. Also, this year an all-new Contest of Liars event awaits for you; three teams, each with their own agenda and rewards are competing for supremacy! Each team’s reward is a free permanent illusion mask item that will grant you an illusion similar to the representative for that team. In The Contest of Liars hub, you can read some more. Additionally, there are two daily quests for you to complete and get rewarded for. In Trade of Treats, players will have to interact with pumpkins around Protector’s Enclave and kill enemies to get Liar’s Charms. Then, they can trade them with wandering Masquerade Illusionists for Illusionist’s Bags. These bags contain two to three Masquerade Tokens, refinement items for the Illusionist’s Mask and perhaps a Beholder Piñata. In Lore of Liars, the second daily quest, players learn some more about the Festival’s lore and earn prizes. Every day, a new piece of lore will be available that will get you 5 Masquerade Tokens! Visit the Masquerade Vendor in Protector’s Enclave and exchange them for some spooky rewards! What is more, tons of Fashion Masks are coming with this year’s event! There is an amazing variety for you to choose from! Will you put on the Eye Tyrant Mask, the Mask of the Pit Fiend or the Mask of the Owl? Whichever you pick you are surely going to stand out from the crowd! Also, a new Fashion Set ( Headgear, Tunic, and Leggings of the Masquerade) is available, together with the Spooky Masquerade Feast and the brand-new Masquerade Dye Pack! Finally, this year, players can exchange their fully upgraded Illusionist’s Mask along with Masquerade Tokens for an Empowered Illusionist’s Mask! This is a powerful new artifact that starts from Uncommon and can be upgraded to Mythic quality! Note that you can put on your Illusionist’s Mask and turn into a random monster for five seconds to scare your friends! Neverwinter: This Weekend in Neverwinter! Neverwinter: Free Vanguard Pack Keys!